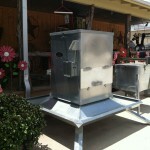 Standley Feed & Seed carries Lamco Feeders for all your deer feed needs. 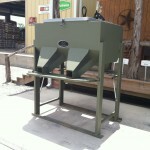 Lamco Feeders produces a superior line of wildlife feeders for all your feeding needs. Lamco patented line of protein and corn feeders are designed to feed whitetail deer and other exotic species. The feeders are designed for strength and durability. 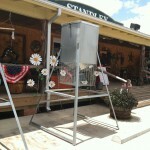 Stop by a Standley Feed location and pick up your Lamco Deer Feeder. Don’t forget the deer corn! We have 50 lb bags ready to go. If you have any questions about these deer feeders or any of the other products we carry, please give us a call or stop by the store. This entry was posted on Thursday, July 13th, 2017 at 9:16 am	and is filed under News & Updates. You can follow any responses to this entry through the RSS 2.0 feed. Both comments and pings are currently closed.